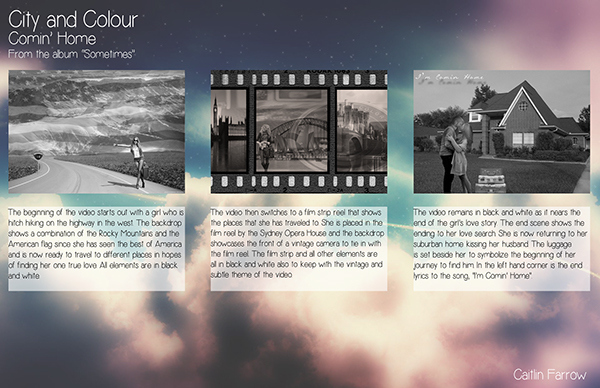 This is a music video concept idea for the band City and Colour's song Comin' Home off of their album, "Sometimes". The three rendered video stills show the concept of the video in order from beginning, middle, and end. Short detailed descriptions are located below each rendering.